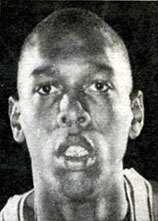 Drafted: Selected by the Cincinnati Royals in the first round (9th pick overall) of 1967 NBA Draft. One of the best players that ever played in the ABA he would have been a star in the NBA too. I have often wondered how basketball history might have been different if the Royals would have signed him instead of losing him over a few thousand dollars. What a shame.